Great Works holds a team of experienced masons and well trained construction managers. We encourage all of our team to continue their education through the latest of related courses and certification seminars. With that approach, we believe our company will always be on the cutting edge of responsible practices and in balance with time honored quality. We build everything from resilient sea walls to fine herb gardens! 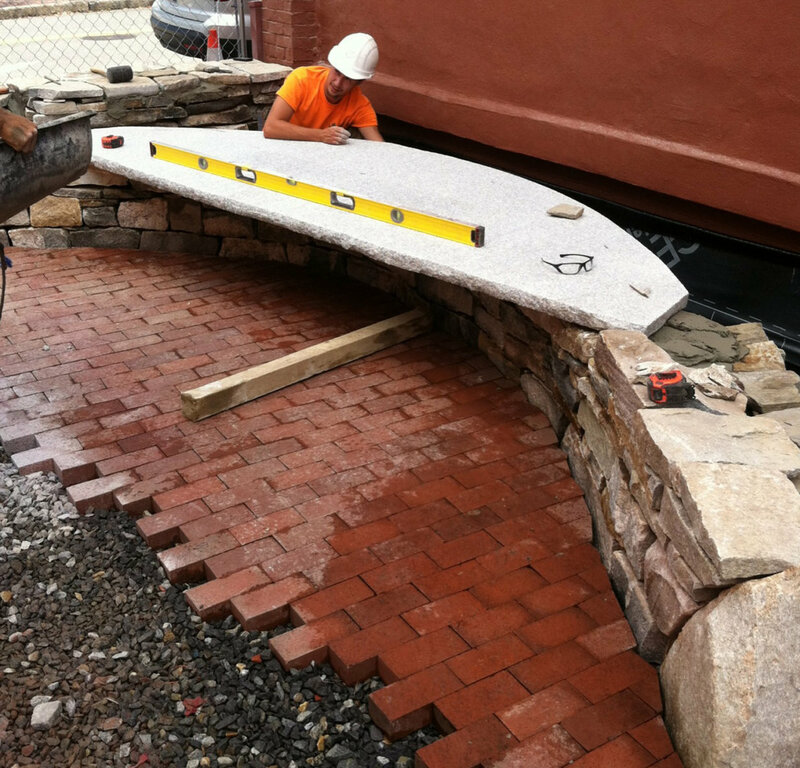 Great Works Landscape construction services are well known in Mid Coast Maine. We typically build with native materials including granite, premium bluestone, concrete pavers and brick. Materials are sourced locally to create structures that are frost tolerant and long lasting as well as beautiful. Our talented team members are well versed in constructing a wide variety of architectural styles. The right plantings can transform a space into a well functioning micro-environment by catering to pollinators and blending in with the surrounding landscape. Our gardeners are seasoned in all aspects of plant installation. From large trees to bulbs, proper installation is the first step to growing success. Plants are sourced regionally, and hand selected for quality. That, combined with appropriate soil mixture and accurate location, ensure our plant installations will be healthy and long lasting.